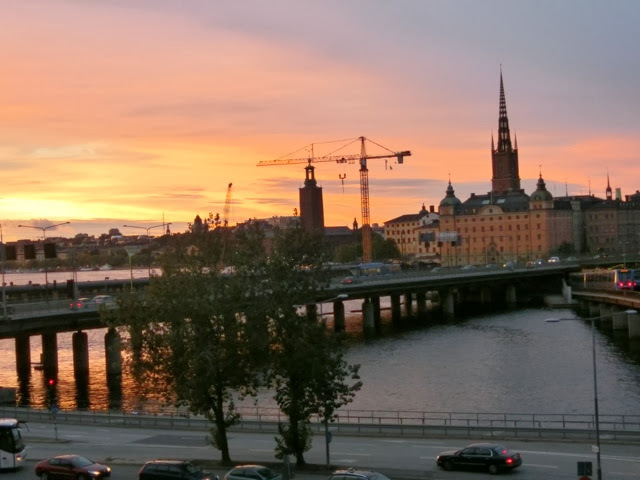 I'm in stockholm. I spent most of the day waiting in hospital waiting rooms so I didn't do all that much. The good news is that I don't have a blood clot in my leg. My leg is still swollen and sore though so I can't walk around as much as I'd like. So today here are a few pictures from around the hotel. 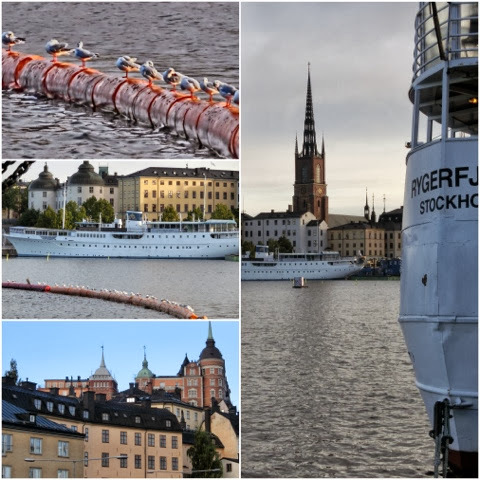 A walk down by the water, Sodermalm this morning. This evening we went to the Vasa museum. 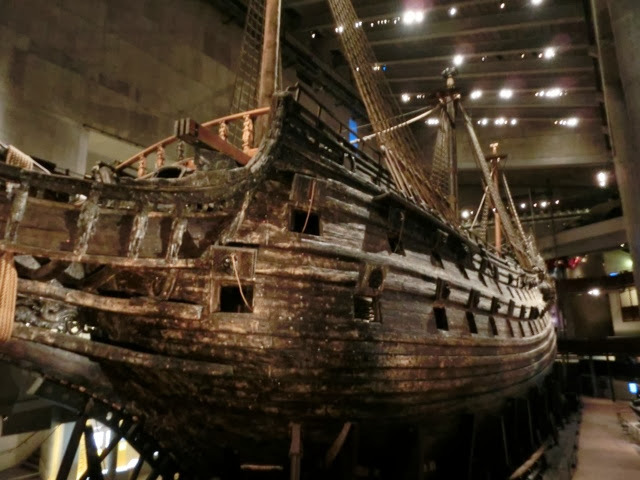 The Vasa is a ship which sank after sailing 1500 metres on its maiden voyage. It was pulled out of the water and reconstructed 300 years later. It is amazing, the ships from 'pirates of the Caribbean ' are based on the Vasa. According to the guide, the ship was top heavy with 2 rows of cannon. It had too little ballast and a puff of wind pushed it over a bit and water poured through the cannon portholes. The amazing thing was that the two sides of the ship were built by two groups of builders. One group was Dutch the other Swedish. Apparently each group was using a different size inch measurement so the right side of the ship was bigger. That didn't help when the ship listed to port. It must have been very embarrassing, it was a Sunday and the whole town had come out to see the launching if the kings new ship.